In Vancouver, I sat down with Scott Sanchez (EMC) and Jeff Dickey (Redapt) for a NextCast discussion. We covered a lot of my favorite subjects including DefCore and Ready State bare metal operations. One of the things I liked about this discussion was that we were able to pull together the seemly disparate threads that I’m work on around OpenStack. During the DefCore process, we’ve had regular community check points to review and discuss the latest materials from the committee. With the latest work on the official process and flurry of Guidelines, we’ve got a lot of concrete material to show. Consult the call etherpad for call in details and other material. with 5 board members, Foundation executives/staff and good community engagement. TL;DR > We think DefCore deliverables should be dated milestone guidelines instead tightly coupled to release events (see graphic). DefCore has a single goal expressed from two sides: 1) defining the “what is OpenStack” brand for Vendors and 2) driving interoperability between OpenStack installations. From that perspective, it is not about releases, but about testable stable capabilities. Over time, these changes should be incremental and, most importantly, trail behind new features that are added. For those reasons, it was becoming confusing for DefCore to focus on an “Icehouse” definition when most of the capabilities listed are “Havana” ones. 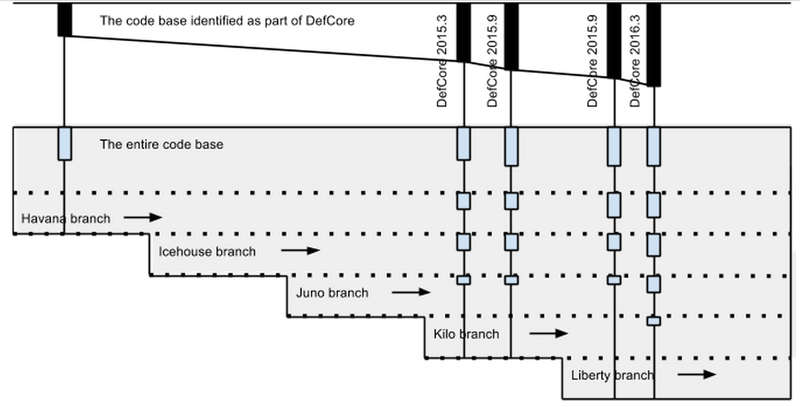 We also created significant time pressure to get the “Kilo DefCore” out quickly after the release even though there were no “Kilo” specific additions covered. In the face-to-face, we settled on a more incremental approach. DefCore would regularly post a set of guidelines for approval by the Board. These Guidelines would include the required, deprecated (leaving) and advisory (coming) capabilities required for Vendors to use the mark (see footnote*). As part of defining capabilities, we would update which capabilities were included in each component and which components were required for the OpenStack Platform. They would also include the relevant designated sections. These Guidelines would use the open draft and discussion process that we are in the process of outlining for approval in Vancouver. Since DefCore Guidelines are simple time based lists of capabilities, the vendors and community can simply reference an approved Guideline using the date of approval (for example DefCore 2015.03) and know exactly what was included. While each Guideline stands alone, it is easy to compare them for incremental changes. We’ve been getting positive feedback about this change; however, we are still discussing it and appreciate your input and questions. It is very important for us to make DefCore simple and easy. For that, your confused looks and WTF? comments are very helpful. * footnote: the Foundation manages the OpenStack brand and the process includes multiple facets. The DefCore Guidelines are just one part of the brand process. OpenStack PSA: Individual members we need more help – Please Vote! 1/17 Update: We did it! We reached quorum and approved all the changes! Also, I am honored to have been re-elected to the Board. Thank you for the support. I saw the latest report and we’ve still got a LONG WAY TO GO to get to the quorum that we need. Don’t let your co-worker or co-contributor be the one missing vote! Note: If you thing you should have gotten a ballot email but did not. Contact the OpenStack Election Secretary for assistance. OpenStack voting is via YOUR PERSONALIZED EMAIL only – you cannot use someone else’s ballot. OpenStack Individual Members we need your help – Please Vote! Included on the upcoming individual elections ballot is set of proposed bylaw changes [note: I am also seeking re-election]. To be enacted, these changes require approval by the individual members. At least 25% of the Individual Members must participate in this election in order for the vote to take effect which is why we are reaching out to you. The election will start Monday January 12, 2015 and run thru Friday January 16, 2015. The unprecedented growth, community size and active nature of the OpenStack community have precipitated the need for OpenStack Bylaw updates. The updates will enable our community to adapt to our continued rapid growth, change and diversity, while reflecting our success and market leadership. Although the proposed changes only effect a small set of verbiage in the bylaws, the changes eliminate some of the hard coded values and naive initial assumptions that found their way into the bylaws when they were initially created in 2013. Those initial assumptions did not anticipate that by 2015 we would have such a large, active community of over 17,000 individual members, over 430 corporate members, and a large diverse set of OpenStack based products and services. Through many months of community iterative discussion and debate, the DefCore team and board have unanimously accepted a set of changes that are now placed before you for your approval. The changes replace the original hard coded “core” definition with a process for determining the software elements required for use of the OpenStack commercial trademark. Processes which will also account for future revisions and determinations for Core and Trademark Policy. Note: Another change sets the quorum level at a more reasonable 10%, so these PSAs should not be required in the future. Voting time for OpenStack! Your help needed to push Bylaws & DefCore forward. 1/17 Update: We did it! We reached quorum and approved all the changes! Also, I am honored to have been re-elected to the Board. Thank you for the support! 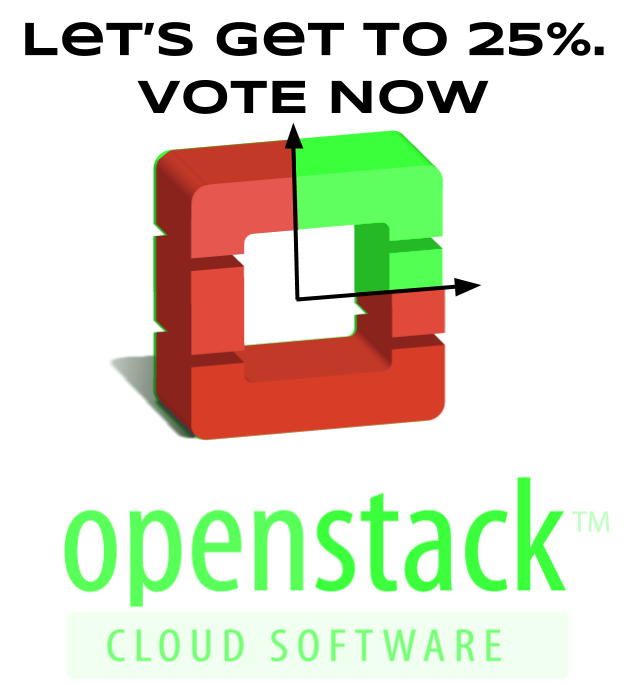 What does OpenStack mean to you? To me, it’s more than infrastructure software: it’s a community of people and companies working together in revolutionary way. To make that work, we need people who invest time to bring together diverse interests and perspectives. 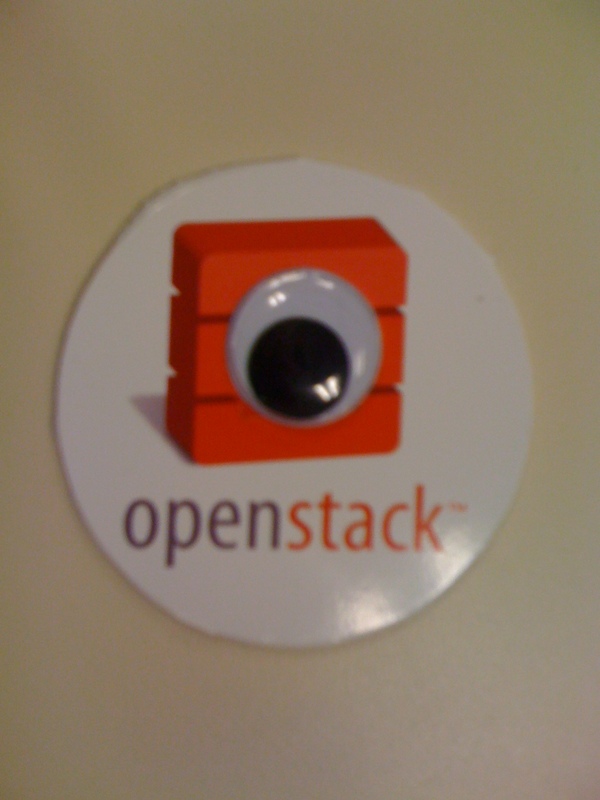 I have worked hard to provide neutral and inclusive view points on the OpenStack board. The critical initiatives I focused on [DefCore, Gold Membership, Product Managers] need focused leadership to progress. I have proven my commitment to those efforts and would be honored to be re-elected [see my platforms for 2012, 2013 & 2014]. But more important than voting for me, is that we reach a 25% quorum! Why? Because there are critical changes to the OpenStack bylaws on the ballot. enable the DefCore process – current core is defined as simply using code in select projects. To hit 25%, we need everyone, not just the typical evangelists to encourage voting. We need you to help spread the word and get others to do the same. I’m counting on you, please help.